Have you caught on yet that I love natural cleaning products? I recently discovered Nellie's and it was primarily their clever branding that caught my eye. The vintage inspired tins and cartons make me feel like I've traveled back in time and borrowed some laundry powder from a fashionable fifties mom that lives down the street! Even though technology and scientific advancement keep giving us new chemicals, nothing is as good as some old fashioned laundry powder. Nellie's All Natural sent us the Oxygen Brightener and the PVC Free Dryer Balls. Ease of use: As you might have read in my previous reviews, I've recently became a fan of laundry powder. After all, it makes sense not to dilute detergent with water and transport water around - what a waste. I love how easy it is to use the powder, and I find it less messy as well. The Oxygen Brightener comes in a neat tin can and has its own spoon, very convenient. Plus it is several products in one! Great for stain removal, hand washing clothes, carpet spot removal, and as a pre soak. I was excited to find these PVC free dryer balls as I wasn't too ecstatic about other dryer balls available on the market. We have long stopped using the toxic dryer sheets and we use the dryer sparingly. These are extremely easy to use, you just toss them in! I actually just leave them in the dryer all the time, I don't even have to think about putting them in there! The cool thing is, you can also buy some Lavender Fragrance Sticks that you put inside these balls to infuse your clean laundry with a great natural scent of this essential oil. It's not really something I would use on my clothing (but that's just me), but it is perfect for sheets and towels! Lavender is actually a natural sleep inducer/aid! Performance: The Oxygen Brightener is wonderful on stains! While it may not work on old set in stains (hey, what will? ), it's great for my daughter's last night's dinner that found its way to her shirt. Avocados, you've met your match! Beware blueberries and carrots. Of course if you want the best results, treat the stain as soon as you can and watch Nellie's do its magic. We really love the PVC Free Dryer Balls, wish we've had them sooner. In our experience they cut the drying time by about 10 minutes give or take. The laundry comes out soft and fluffy, and smelling great with the addition of the Lavender Fragrance Sticks. We find that they work best when the dryer is about half to 3/4 full, otherwise there isn't much room for them to bounce around if you have a dryer full to the brim. By the way, did you know that "fabric softeners emitted toluene, styrene, phenol, thymol, xylene, and trimethylbenzene, among other chemicals, many of which cause acute respiratory tract irritations and inflammation"? They stay on cloth fibers and release over time. I don't see why this should be used on clothing that we and our kids wear! I'm sticking to dryer balls! Value: Nellie's is reasonably priced and their everyday detergents cost about $0.18 per load or even less if you buy bulk. The Oxygen Brightener that we tried ends up at about $0.31 per load for whites that need some extra help or for stain removal. The Dryer Balls are $24.99 a pair and will last about 3-4 years. It's a great money saver because it cuts drying time and you don't need to buy anymore softener! Environment: Nellie's is a great company to support because of their commitment to the environment and to providing you with non-toxic means of keeping your clothing and your home clean. All of their products are non-toxic, hypoallergenic, and environmentally friendly. Buy Nellie's All Natural products at the Eco-Babyz Boutique! Two Eco-Babyz readers will win the PVC Free Dryerball Starter Set with Lavender Sticks! MANDATORY ENTRY: Visit the Nellie's All-Natural website and tell what other specific product you would love to try and WHY. Contest ends at 11:59pm EST on Sunday, July 4th. The winner will be selected using Random.org on Monday, July 5th and notified by email (make sure I have a way to get in touch with you, provide email in your comment if it is not in your Blogger profile). Open to 18+ US and Canada residents only. Thank you! I would like to try the Laundy Soda. The idea of having fresh, clean clothes with no chemicals appeals to me. I voted on Picket Fence #2.. I voted on Top Baby Blogs #2. I voted on Top Mommy Blogs #2. I would love the lavender fragrance sticks!My laundry needs to smell more fresh and less smoky! My uncle smokes so everything stinks in the washer. because they're easy and pre-measured. I voted on Top Mommy Blogs 6/25 enrty #1. I voted on Top Baby Blogs 6/25 enrty #1. I voted on Top Mommy Blogs 6/25 enrty #2. I voted on Picket Fence Blogs 6/25 entry #2. I voted on Picket Fence Blogs 6/25 entry #1. I voted on Top Baby Blogs 6/25 entry #2. I follow Eco Babyz on Twitter! I would try the laundry nuggets. How simple, no measuring, just toss and go! I love the tins that her stuff is sold in, totally reusable. A lot of popular all-natural detergents have switched to plastic bags. I am glad to see one that hasn't! I "liked" Eco Babyz on Facebook! I would love to try the Laundry Nuggets. The "Laundry Nuggets" hands down quick and easy. Laundry already takes up too much of my day! I would like to try the Laundry Nuggets. I think they would be a super easy way to introduce my son to doing laundry. I want to try the Laundry Nuggets because they look new and unique. I want to try the laundry nuggets because they cut down on waste. I would love to try the Laundry Nuggets, as there would be no measuring or mess...just drop them in! I voted on Top Mommy Blogs 6/27, entry #1. I voted on Top Baby Blogs 6/27, entry #2. I voted on Top Baby Blogs 6/27, entry #1. I voted on Top Mommy Blogs 6/27, entry #2. I voted on Top Baby Blogs 6/28, entry #2. I voted on Top Baby Blogs 6/28, entry #1. I voted on Top Mommy Blogs 6/28, entry #2. I voted on Top Mommy Blogs 6/28, entry #1. I would like to try the Automatic Dish Nuggets because I run the dishwasher so often that I worry about the chemicals. I voted on Top Baby Blogs 6/29, entry #2. I voted on Top Baby Blogs 6/29, entry #1. I voted on Top Mommy Blogs 6/29, entry #2. I voted on Top Mommy Blogs 6/29, entry #1. The Rinse Agent for dishwashers might be something to try. 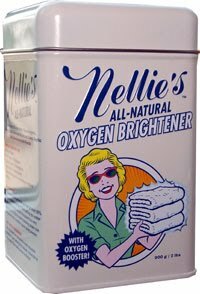 I'd love to try Nellie's Rinse Agent for the kitchen. I voted on Top Baby Blogs 6/30, entry #2. I voted on Top Baby Blogs 6/30, entry #1. I voted on Top Mommy Blogs 6/30, entry #2. I voted on Top Mommy Blogs 6/30, entry #1. I would love to try the Laundry Nuggets because they look super convenient. 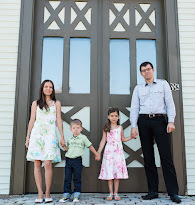 I voted on Picket Fence Blogs 7/1 entry #2. I voted on Picket Fence Blogs 7/1 entry #1. I voted on Top Baby Blogs 7/1 entry #2. I voted on Top Baby Blogs 7/1 entry #1. I voted on Top Mommy Blogs 7/1 entry #2. I voted on Top Mommy Blogs 7/1 entry #1. I would like to try the Laundry Nuggets (50 Load Special Edition). I like that it is pre measured so nothing is wasted. I voted on Top Baby Blogs 7/2 #2. I voted on Top Baby Blogs 7/2 #1. I voted on Top Mommy Blogs 7/2 #2. I voted on Top Mommy Blogs 7/2 #1. Would love to try the Automatic Dish Nuggets. I would also like to try Nellie's Laundry Nuggets. I am a fan of Eco-Babyz via Facebook as Jill Myrick. I am following Eco-Babyz via Twitter as jlsc123. I want to try the Laundy Soda. I'd love to try the laundry nuggets because my baby is sometimes too grumbly to be put down, so I have to hold him while I do laundry. I think the laundry nuggets could be used one-handed! I like that Nellie’s Automatic Dishwasher Nuggets are biodegradable and phosphate-free. I'd like to find a green product for my dishes. I voted on Top Baby Blogs 7/4 #2. I voted on Top Baby Blogs 7/4 #1. I voted on Top Mommy Blogs 7/4 #2. I voted on Top Mommy Blogs 7/4 #1. I would like to try the Lavender Fragrance Sticks, Im sure they smell wonderful! I think the laundry nuggets is such a great idea. I love the convenience and that way my hubby doesn't use too much detergent! I think the laundry soda sounds really great. Not only do I hate the environmental impact of transporting water but I don't want to pay for it! I would like to try the Automatic Dish Nuggets. I would like to try the Laundy Soda.